ForceOne uses the best and most recognisable names in the manufacturing industry. By using these leading manufacturers, ForceOne is keeping up with the latest technology and developments. 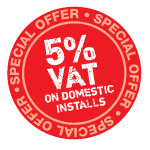 Our job is to help YOU the customer reduce running costs and improve service standards. In doing so the value of your property/assets are protected, not just today but for tomorrow. Please check out details of our service below. Unlike some companies who send their engineers in to service Air Conditioning systems and ONLY brush the filters out, ForceOne take the time to attend the unit and give it some (much overdue) tender loving care. This will involve carefully removing the filters and panels, brushing them out AND washing them, checking the heat exchanger coils are not blocked with dirt or dust and clearing as may be necessary. ForceOne will also check condensate drains as they will either be pumped to a waste outlet or will be discharged via a bigger pipe like a sink overflow. The pump may require cleaning or parts if it has failed, and gravity drain pipes can also get blocked or become a home to wayward spiders! A system check will be carried out to ensure the unit is secure on the wall or in the ceiling, and operational checks to ensure that temperatures are within limits and the system is functioning correctly. 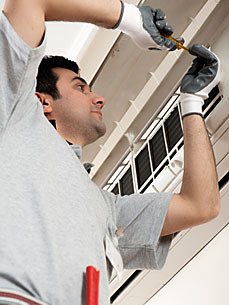 If a system is struggling to 'hold' a room this could be due to an increase in the room load - so you may not need to upgrade your A/C, it may just need some ForceOne TLC - a thorough comprehensive service. The external unit is not Left out in the cold (pardon the pun) this is also attended to, the coil cleared, brushed or washed, checked for mechanical integrity and any missing screws etc. ForceOne will take an email address from you so that if there are any aspects of your system which require remedial action or upgrade, we can respond accordingly and promptly and in your best interests.